About The Mark of the Beast. This is why you need to buy now! As you read the book you will be led through a sequence of events and facts that will guide you through a hidden maze that you were not aware existed in this and other nations. But, there is the apparent maze that we all are aware. This maze may best be identified from within the emotions of each of us as we fret over the red tape of bureaucracy. The bureaucratic systems are in place to prevent or slow-down each of us from achieving our goals. The red tape is in the nature of licensure, permissions, forms to fill out, "you can do this, but not that," the "Stop (Now!)" sign at the intersection, the wait until the signal turns green, and etc. It is also the controls such as, you owe this tax from your labor; you must obey all laws even though the majority of those laws were not voted on by you or any of the people; it is the planned obsolescence (that which is planned into the appliance) when your refrigerator and dryer goes down within one week of each other. It is that something that commands us as to when, how, what, why, and where to do something, and which we lack personal control. Specifically, the apparent maze is the suffocation by those in control over those who have not control over their own lives or destinies. 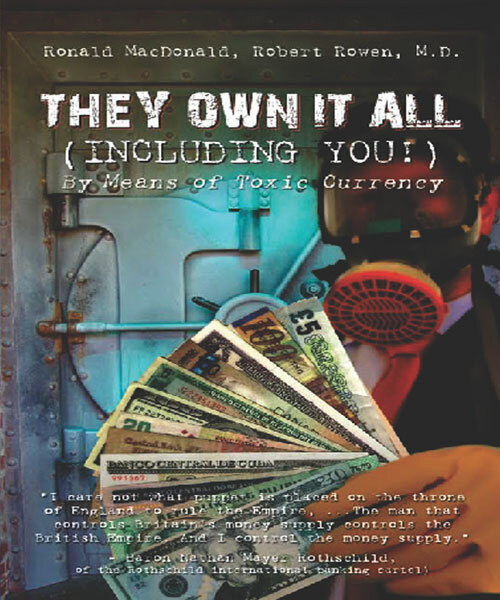 They Own It All (Including You!) proves that these bureaucratic schemes and all of there counter parts are the result of the hidden maze, which is owned not by the people or their government but what can only be described as a ruthless and global cartel. This maze will become apparent only after you have read the book They Own It All (Including You!). Does the hidden maze actually deal with a hidden mark on both people and property? Yes it does, and the authors have proved it. Once you read and understandThey Own It All (Including You!) your blinders will be removed, and you will experience a reality shift. You will be able to see the mark on everything and everyone! Now, for the first time, that hidden maze has been revealed inThey Own It All (Including You!). Your authors have at risk everything, inclusive of their lives because your governments do not want you to know. But, as is stated within the dedication of the book, "If a man is not willing to die for his principles, then he has no principles."